Want to monetize your website? Using the banner module, you can add advertisements on as many pages of your websites as you want. 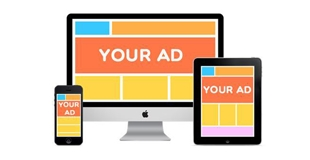 Banners make it simpler and easier to manage ad spaces on your website. You need not know any programming to add banners to your website. This module can also highlight important information on your website. If you have a reminder (for example, about an upcoming event), you can use a banner to display the message. You can use as often as you wish, so you can achieve your desired target according to your needs. It is easy to set up the number of banners you want on each page. You can select specific settings for every new banner created. One banner can be used on several pages, while another can appear only on one page, depending on your preferences. The blog module will help you put up a fully functional blog on your website.